When you think of the color purple, what comes to mind? Purple is often associated with royalty, wisdom, strength--all positive characteristics. In some instances, it can also evoke melancholy or give an audience a sense of rebellion. 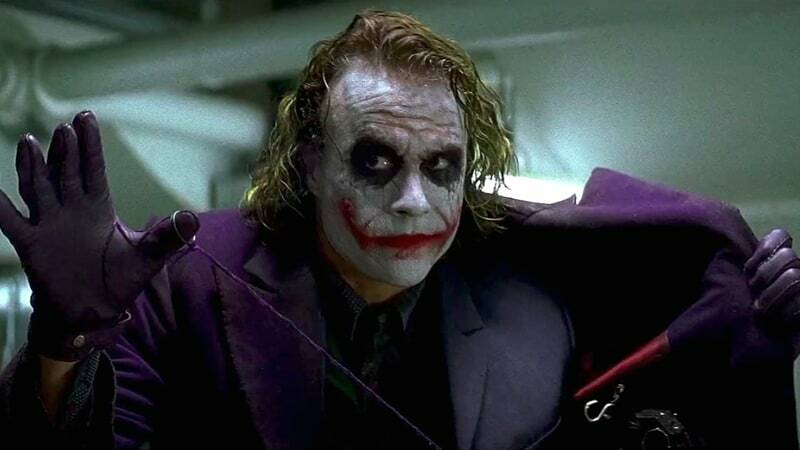 Maybe that's why purple is so often used for villains and anti-heroes. 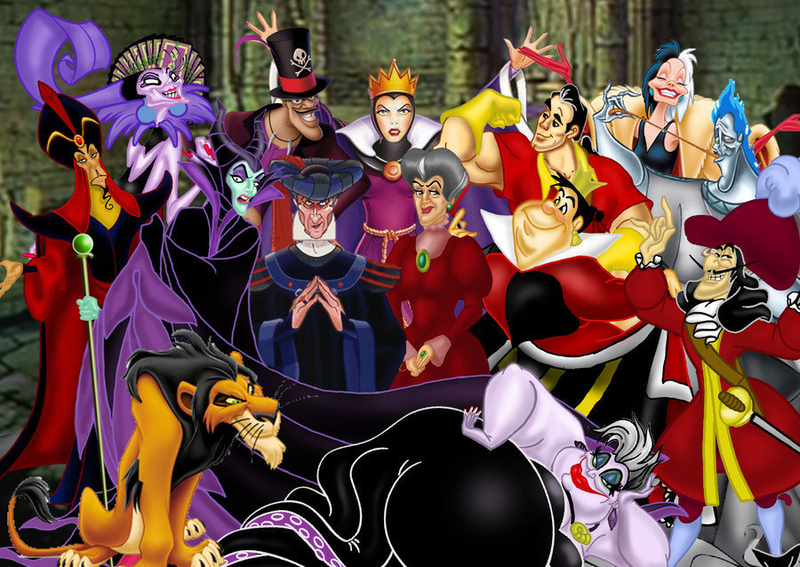 Think about how many Disney villains are cloaked in a shade of purple. 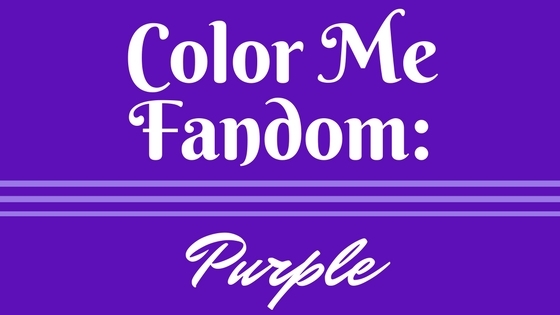 Looking at various fandoms, one can see the overarching characteristics that the color purple is used to highlight. Here are just a few. Traditionally, purple bears the mark of royalty. As far back as ancient Rome, only the emperor was allowed to wear solid purple, while the highest and most-esteemed individuals could wear a stripe of purple along the edges of their togas (source). 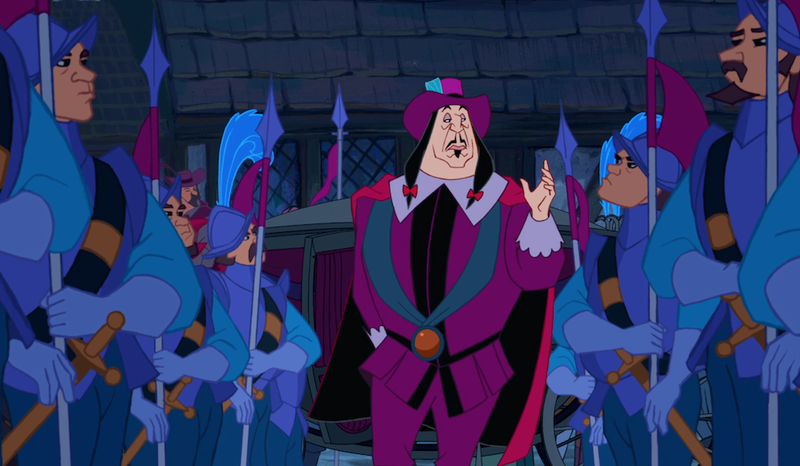 The color has long been associated with royalty and power, so it comes as no surprise to see animators, Hollywood, and video game companies dressing kings, queens, princes, and princesses in that color. 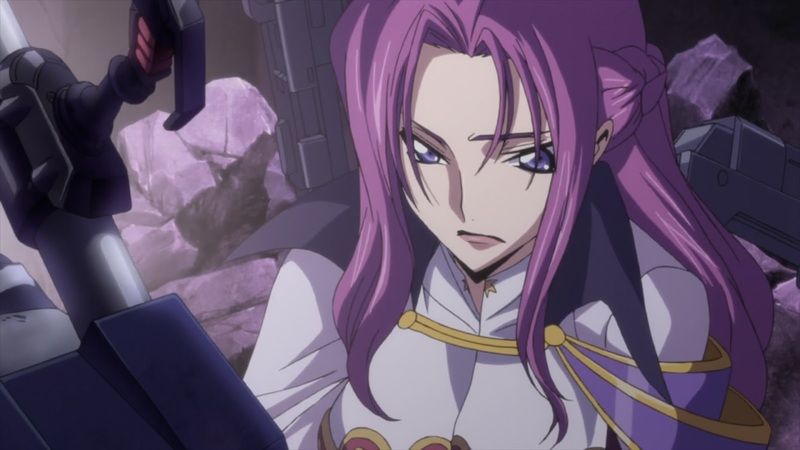 In the anime Code Geass, the imperial princes and princesses wear a lot of purple (A LOT), sometimes in their clothing, other times in their features! Just look at the picture of Cornelia above. She's wearing purple but also (miraculously) has purple hair and eyes. 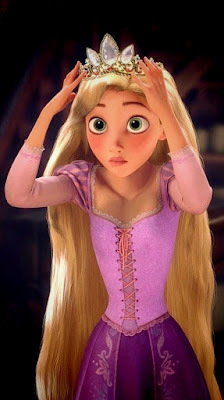 Disney princesses like Rapunzel also dress in violet shades. As we've seen already, so do Disney villains, especially if they see themselves as a type of royalty, like Ursula, Frollo, and Governor Ratcliffe (who later even imagines himself in a suit of gold). Purple means power and prestige. It means princes and princesses. It means having the means to organize an entire kingdom and determine the best course of action for a people. How many times has a character conjured up a violet aura and released an awe-inspiring attack? You don’t mess with any shade, tint, or variation of purple. In fact, the most powerful scout in the Sailor Moon fandom wears, you guessed it, PURPLE! Sailor Saturn is such a powerhouse that she only awakens for very specific reasons: to destroy planets, wipe out races, or even to kill gods! She’s only failed in her task once. ONCE! And her attacks are . . . purple. 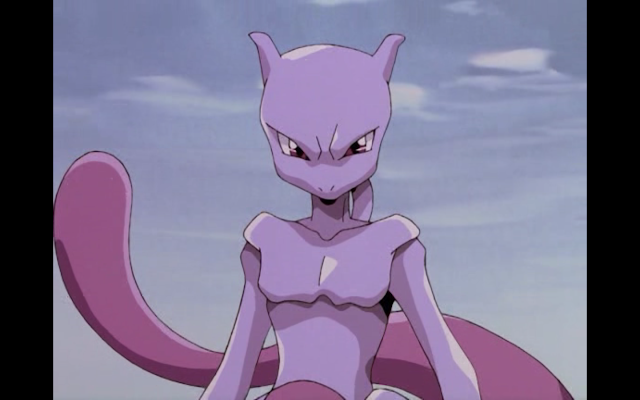 In addition, the most powerful Pokémon (at least for a time) was Mewtwo, who uses purple psychic powers and has lovely lavender skin. So it's no wonder that some villains also wear purple to signify how much power they hold, just like Frieza from Dragonball Z. In his various forms, he always has some highlight of purple on his person. Even in Naruto, Orochimaru's outfit is mostly tan and gray, but it also contains a large purple belt to hold it together. All the characters mentioned are extremely powerful and a difficult obstacle for others to overcome. This is usually the case with those who hold insane amounts of energy. Without getting too much into color theory, purple's birth (the marriage of red and blue) is something of an interesting phenomenon. Blue and red are contrasting colors and tend to be paired quite frequently. They are opposites yet complementary. One accentuates the other's beauty. Even the qualities associated with these colors are opposites: while blue symbolizes stability, red symbolizes senseless passion. Purple, then, is much more passionate than blue, but more controlled than red. 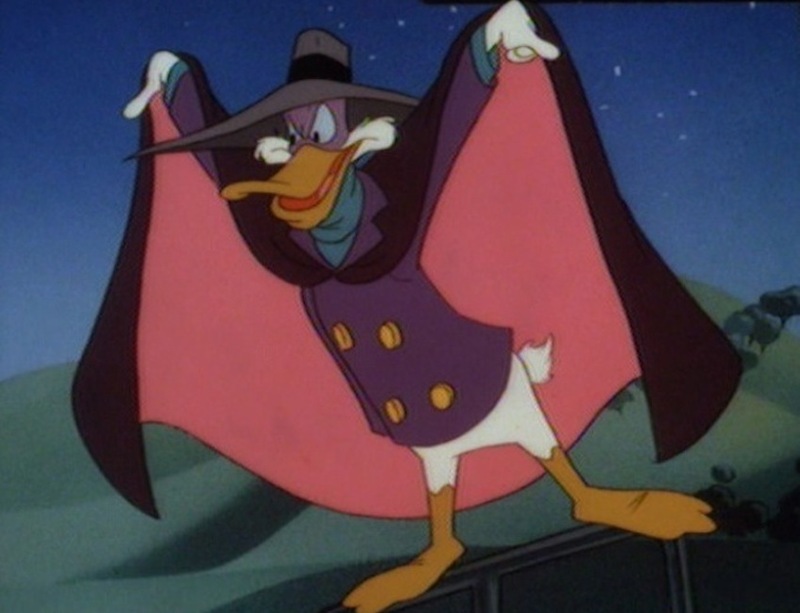 This makes it a perfect color for villains and anti-heroes because of the calculating yet unexpected ways in which they function. The Joker, the Riddler, the Green Goblin, and Lex Luthor all sport purple in some form (again, there's also a lot of green). Villains adore purple. The primary colors (red, blue, and yellow) are all reserved for the hero(es), while the secondary colors (orange, green, and purple) are given to the villains and anti-heroes, types that usually think in subversive ways: the villain's goals go against those of society, while the anti-hero lacks the conventional characteristics of a hero. Purple gives people a sense of all of the aforementioned qualities: power, subversion, and regality. 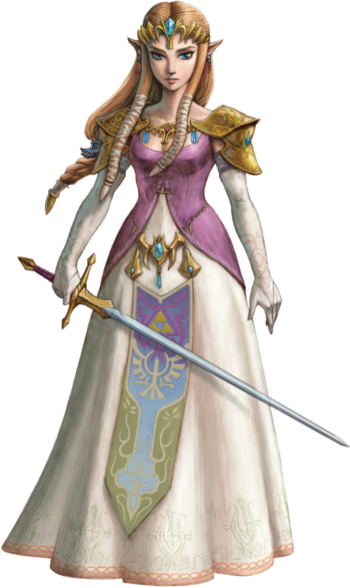 Whether used for a villain, a princess, or an anti-hero (We need more purple heroes! ), purple shines through and makes one take notice. It also gives one the sense of wisdom and ambition. It's interesting how much color can affect our first impression of a character, and how color theory is used in fandoms to give us a better idea of the characters' motivations and even their morals. Who's your favorite purple-attired character?